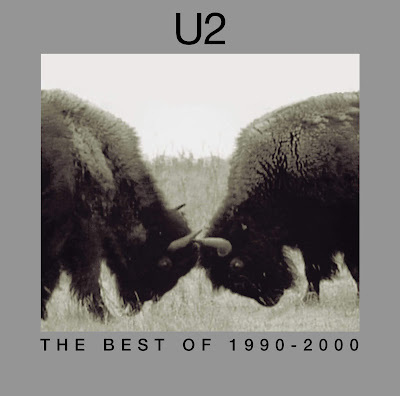 U2 will reissue their 2002 greatest hits set, “The Best Of 1990-2000”, on vinyl on September 28. Remastered and pressed on 180g double LP black vinyl, the follow up to 1998’s “The Best Of 1980-1990” was the second compilation issued by the Irish rockers. The collection contained two newly recorded tracks – “Electrical Storm” and “The Hands That Built America” - the latter written for and featured on the soundtrack to the 2002 film “Gangs Of New York”, alongside a selection of tracks remixed by Mike Hedges (see full song list below). The 2002 release charted at No. 1 in 13 countries while going on o sell more than 3 million copies across Europe and a million in the US. The 2018 2LP vinyl reissue will include a download card. U2 – who recently wrapped up the North American leg of the Experience + Innocence Tour – will launch a European trek in Berlin, Germany on August 31.